Imran Malik, Vice President, Fixed Data, Asia-Pacific at SES Networks. Photo courtesy of SES. Largest satellite operator SES may be based in Luxembourg but has global operations worldwide, operating more than 70 geostationary (GEO) satellites and Medium Earth Orbit (MEO) and having regional offices in over 20 countries. The company, which was established in 1985, began its Asia-Pacific (APAC) business in 1999, and has since grown to be one of the most prominent operators in the region. However, as the APAC satellite industry becomes more aggressive, large satellite operators like SES have had to come up with new strategies to remain competitive. 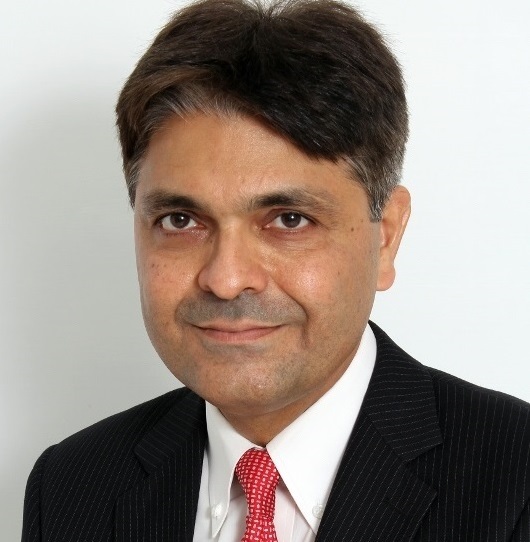 SpaceTech Asia speaks to Imran Malik, Vice President, Fixed Data, Asia-Pacific at SES Networks, to learn more about SES’s current activities and its future in the region, as well as how the satellite industry will transform in the years to come. What are some of SES’s latest projects in APAC? SES-12, which is going to be in the geostationary orbit at 95 degrees East, was launched in early June, and will start service in Q1 2019. SES-12 is one of the largest satellites SES has ever launched, and is our first High Throughput Satellite (HTS) for Asia-Pacific and the Middle East, including rapidly growing markets like India and Indonesia. Because this is an all-electric satellite, we have managed to save on weight of a large fuel tank to propel the satellite into orbit in space and replace it with more communications payload, enabling us to deliver even more cost-effective prices. Additionally, we have launched four more O3b Medium Earth Orbit (MEO) satellites, making the O3b fleet a 16-satellite constellation now. In APAC, we have many customers in the Pacific who are using the managed services provided on the O3b fleet, such as Bluesky (Cook Islands), Palau Telecoms (Palau), Digicel Pacific (Samoa and Papua New Guinea), and Timor Telecom (Timor-Leste). As a pioneering force in networking and communications, we transformed the satellite industry with our O3b MEO constellation, bringing high-performance connectivity to millions of people and places around the globe. New capabilities in software-defined networking enable the O3b system with intelligent multi-orbit resiliency, the ability to route traffic by application over GEO, MEO and terrestrial links, and the introduction of software-defined WAN services – all of which drives efficiency, reliability and flexibility for our customers and their end users. What are some of SES’ latest partnerships in APAC? Since June, Wateen Telecom has been leasing capacity from SES’ GEO fleet to bring voice and data to remote mountainous areas in the north and inaccessible southern regions of Pakistan. While Pakistan has had success deploying quality telecommunications services within its city centres, existing gaps in coverage and infrastructure in the outer parts of the country posed challenges to its growth. We recently upgraded our partnership with the leading telco in the Solomon Islands, Our Telekom. At the moment, Our Telekom is using both O3b managed services and C-band capacity. Under this partnership, Our Telekom will bring connectivity to more than 900 islands within the Solomon Islands archipelago. We’ve also partnered with mu Space, a space technology start-up, who will be using SES Networks’ satellite capacity (from SES-8 and SES-12) to accelerate digital transformation and bring connectivity to rural communities across Thailand. Local operators: Partners or competitors? Satellite operators are now becoming more interested in providing end-to-end services, in collaboration with local partners. I don’t think any satellite operator wants to become a mega service provider. Instead the trend is to identify the right partners and work with them. We cooperate where it’s required, and compete when it’s required, a common theme in the satellite industry. The Asian market is definitely very very fragmented. Besides competing with the regional operators, we are sometimes up against national satellite operators. For example, Pakistan has its own satellite programme, and Wateen Telecom leases capacity on Paksat-1R. However, thanks to the regulatory environment in Pakistan, SES Networks is able to provide additional and differentiated capacity, allowing Wateen to fulfil their business objectives. SES opened a sales office in Asia in 1999. Back then, mobile phones were just being introduced in the region, and no one expected smart phones to drastically change the way we communicate. Consumers in the APAC region expect connectivity everywhere. From on-the-move connectivity (trains, planes, boats, connected cars, etc) to connectivity in rural and remote areas, satellite is the only way of achieving a consistent connection, and its role is therefore crucial. This is where the constellations such as GEO and MEO come in. In the near future, closing the digital divide between countries will be one of the greatest challenges. There will be an unequivocal push towards digital equality in the coming years, especially by governments and companies that want to realise the opportunities that connectivity can bring. The satellite industry has a fundamental role to play in this equation to bring about equal Internet access for people, communities and businesses around the globe. In my opinion, we are at a point where the satellite industry is becoming more mainstream. We are no longer restricted to the service of last resort. As we becoming more and more integrated into the telecom infrastructure, I think we’re becoming more relevant. It’s not business as usual, and it’s not an evolutionary process either. Ideally, a telecom network, say, 10 years from now, would be a combination of terrestrial (including microwave), satellite, and fiber, and it will be a software-defined wide area network, where your traffic dictates which transmission technology you use. 5G is a new trend to look at. It is being promoted as the fundamental infrastructure driving the world’s future digital economies by linking together billions of connected devices into the wider IoT and delivering Industry 4.0. However, implementing 5G is a challenging and high stakes endeavour. As a result, achieving a truly 5G network will take years and likely be a multi-year phase. The seamless integration of satellite within 5G networks will be necessary for the delivery of universal 5G coverage and services.